Welcome to Day 4 of my 12 Days of Christmas making, baking and decorating. Today I bring you a most decadent treat that is both salty and sweet (two of my favorite things). A gift anyone on your Christmas list would be happy to receive. This recipe yields 40 bon bons, meaning you could eat 10 and still have enough to make 3 people very happy! 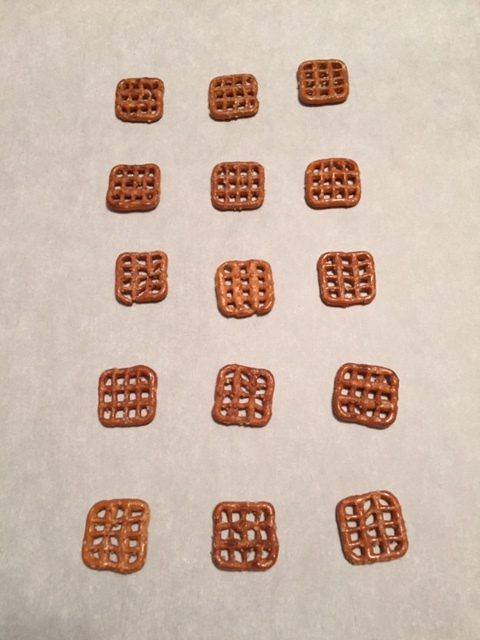 Preheat your oven to 325 F. Place your mini pretzels on a parchment lined baking sheet. 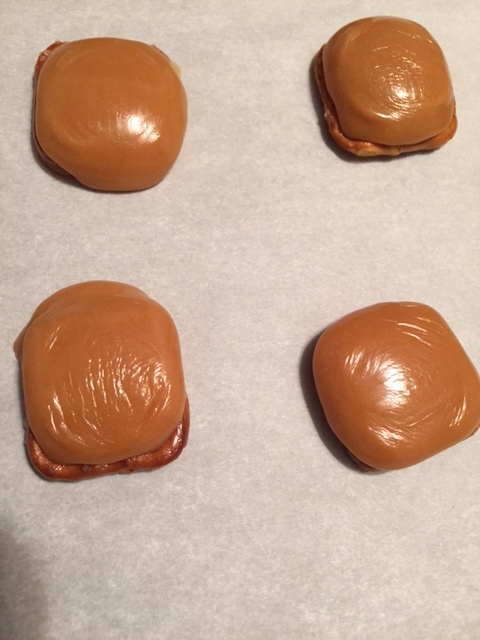 Unwrap your caramels and place one caramel per one pretzel. Bake them for 7-8 minutes. You want the caramel soft enough to accept the pecan, but definitely not melted! 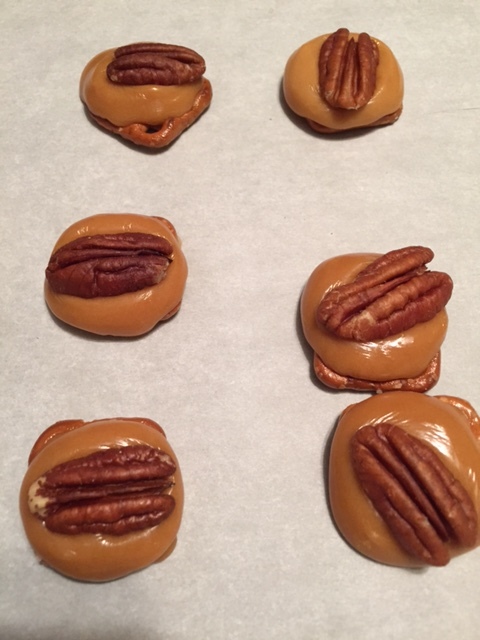 Once the caramel pretzels have emerged from the oven, you’ll want to quickly press a toasted pecan into the top of each one. Now comes the fun and sometimes messy part (0k I made a mess but I’m not showing you…) . 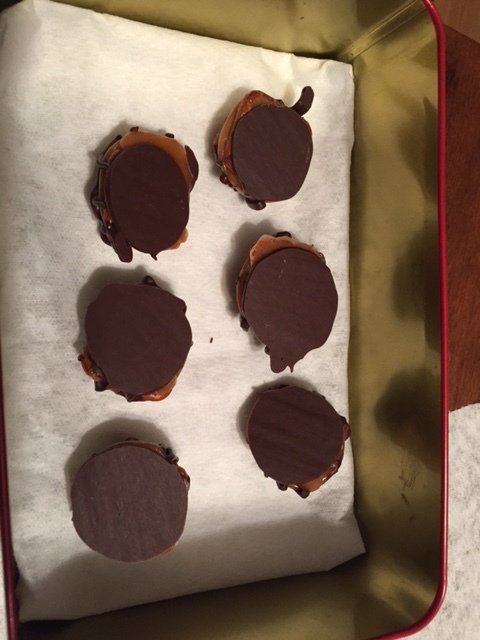 I decided to only dip the bottom of each bon-bon in chocolate and drizzle the tops with more chocolate. You may also choose to only dip the bottoms, or dip the bottoms and drizzle the tops with chocolate like I did or you might get all wild and crazy and dip the whole bon-bon in chocolate, there are lots of options. 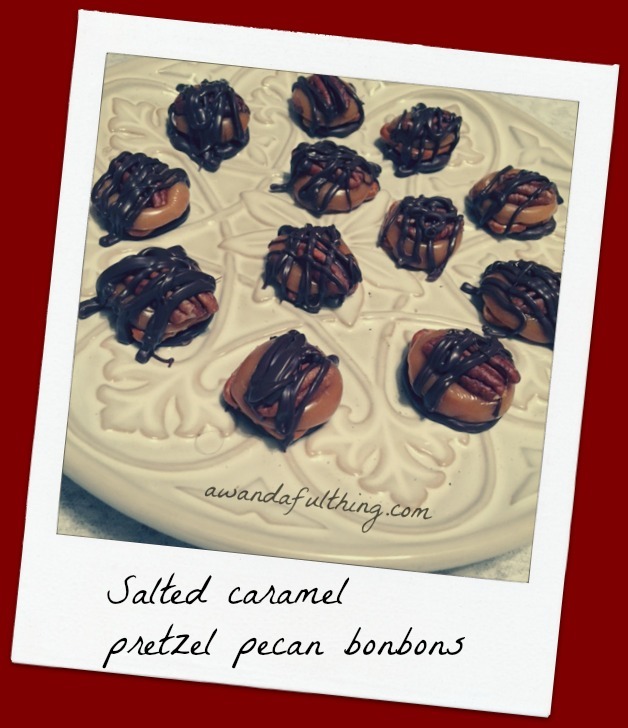 Day 4 – Salted Pretzel Pecan Bon-Bons, a delicious Wandafulthing! 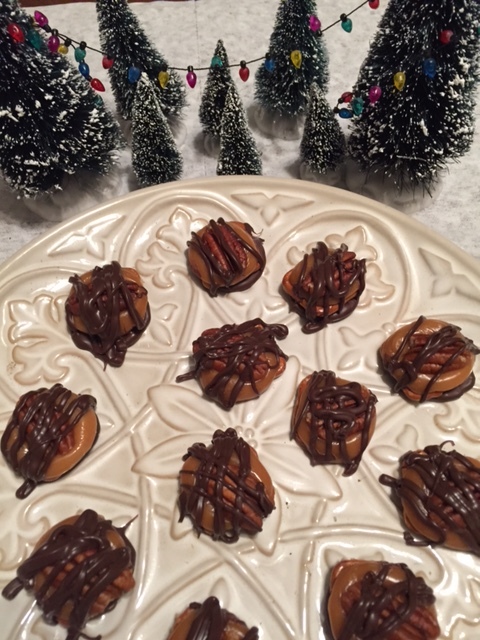 This entry was posted in Bake, Food, Make and tagged 12 Days of Christmas, bake, bon-bon, caramel, Christmas, Day 4, easy, Food, gift, ideas, make, oven, pecan. pretzel, salted, simple. Bookmark the permalink. My mouth was drooling as soon as I saw the picture. 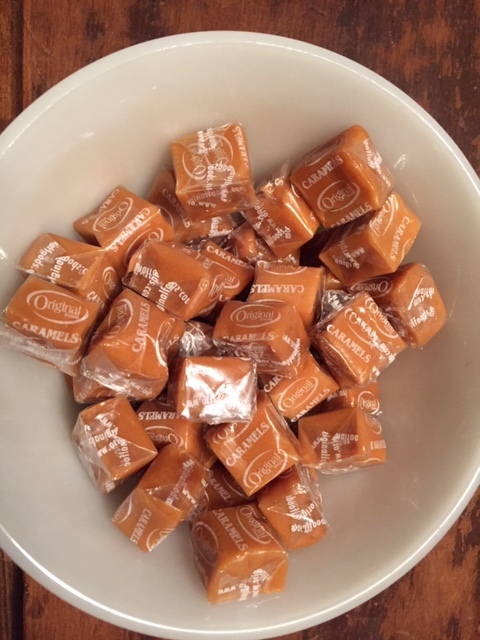 I love those caramels. Agree sweet and salty is the best.